Talking About the Weather | This blog is the fruit of a lifelong environmentalist's learning more about climate than he knew before. 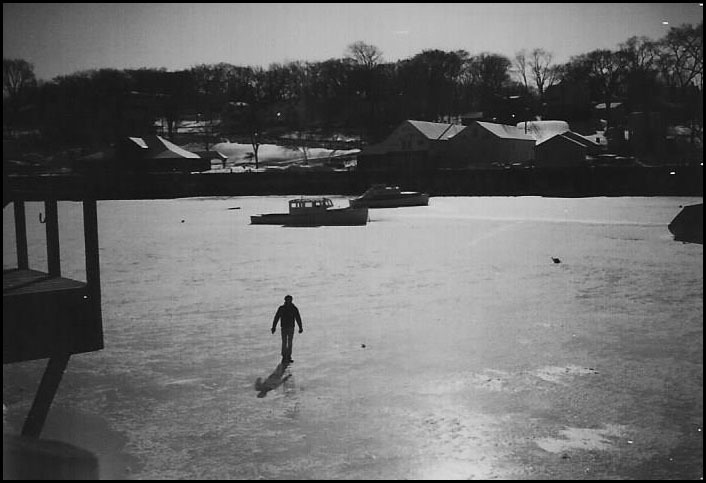 If you have ever walked on water, you might live in New England. 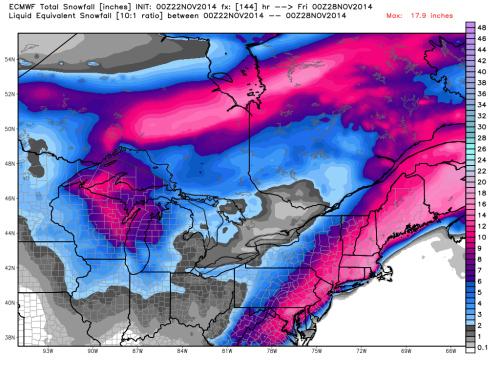 If you currently own between three and five snow shovels, you might live in New England. If there are half-empty bags of melt salt strewn around your home, you might live in New England. If you consider checking the weather online, on the radio, and on TV upwards of 12 times a day to be “normal,” “acceptable,” or “mandatory,” you might live in New England. If you’re currently pretending that the trees will ever have leaves on them again, you might live in New England. If the quaint harbor you made a point of moving near enough to see is currently choked with sea ice, you might live in New England. If you drink iced coffee all winter in some kind of psychotic Stockholm syndrome identification with your winter torturers, you might live in New England. If you no longer look where you’re throwing snow with your shovel after the latest storm because your whole world right now is one big snow pile, you might live in New England. If it is becoming less and less clear to you that you’re the same person who once went to the beach and enjoyed a pleasant afternoon, you might live in New England. If you’re thinking seriously about buying a fourth pair of thermal underwear, you might live in New England. If you have never bought a pair of thermal underwear and look down your nose at people who do, you might live in New England. If it would disturb you in the night NOT to hear the snowplows driving by, you might live in New England. If your kids demand to go night sledding after being cooped up all day during a raging snowstorm and you actually take them, you might live in New England. 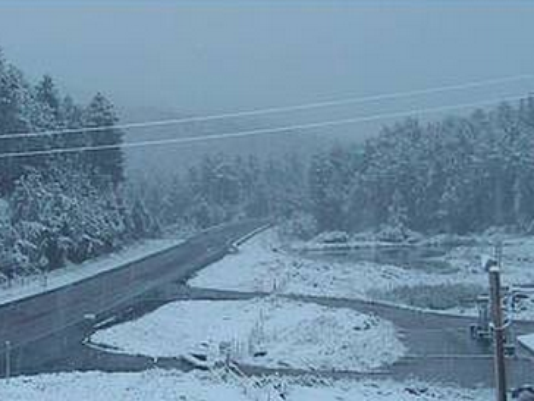 If you have conflicted feelings about snow, you might live in New England. If you have ever seen time come to a complete stop during wintertime, you might live in New England. If you know what a roof rake is, you might live in New England. If you know what a roof rake actually looks like, you might live in New England. If you spent about five hours raking snow from your roof this week and are thinking about squeezing in just a few more later today, you might live in New England. If you needed to replace your windshield wipers about 5 storms ago and may or may not get to it before spring, you might live in New England. Navy computer model said we’d have a foot of snow at my house near Greenwich Cove in Rhode Island. Not a single snowfall fell. On a day when I had already accepted that my location near Greenwich Cove in Rhode Island would not be favored for snow, I had nonetheless looked forward to the inevitable interludes of wet flakes mixing in here or there. It got as cold here, 35 degrees, as it did in nearby places where plenty of snow fell, by the way. But by some miracle, for nothing else could achieve it, not a single snowflake fell at my family’s location. Several million raindrops fell both here and everywhere my car needed to go. But, again, not one fell at the family homestead. I will recover, eventually, from the experience. Miracles are supposed to make us happy, after all. And it really did take some doing for the atmosphere not to let one unmelted snowflake reach the ground here yesterday. 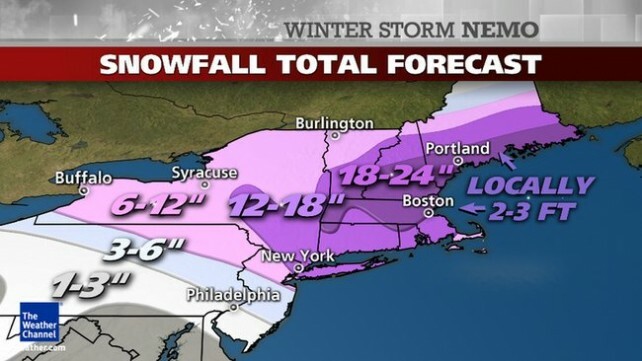 The people on the weather board that I frequent were talking about the snow flooding down from the sky all day – in Maryland, Pennsylvania, Delaware, New Jersey, New York, Connecticut, Massachusetts, New Hampshire, and Maine. Just wasn’t meant to be here. Maybe next time. As a post script: Just took the dog for his first walk of the day, and saw no fewer than four snowflakes, tiny ones, tumble from the sky. Did they make me feel any better? Yes, yes they did. The year 2014’s ice is plotted on this graph of satellite-derived sea ice area in yellow. Antarctica’s impressively expanding sea ice is doing something that climatologists said wouldn’t happen: grow. UPDATE as of 9/21/14, 9:58 am: When I posted this the headline the other day with the words “how high can it go” I didn’t imagine that we would see the ice flirt with the 17 million square kilometer threshold, but that is what has happened. As of Sunday, September 21, the most recent Antarctic sea ice area as measured by satellite now stands at 16.80 million square kilometers. I will ask again: How high can it go? Both NASA’s Walt Meiers and Gavin Schmidt have not responded to requests for comment. 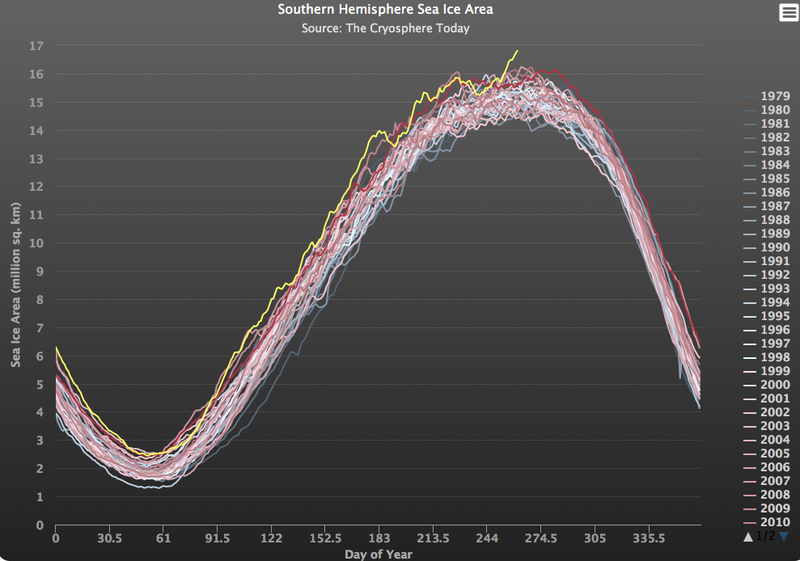 For the second day in a row, sea ice area in the Southern Hemisphere has set its all-time record maximum. The new record is 16.48 million square kilometers. The previous record, set yesterday, was 16.39 million square kilometers. Prior to the last two days, the previous record for sea ice ringing Antarctica was 16.23 million square kilometers, which occurred in 2007, and which I wrote about in my book. Unlike Arctic sea ice, Antarctic sea ice has steadily increased in spatial coverage throughout the period of satellite measurement that started in 1979. The increasing resilience of Antarctic sea ice, an accordion-like fringe collapsing and expanding seasonally around the southernmost continent, has surprised scientists, including a group attempting to visit Antarctica during the Southern Hemisphere summer earlier this year. The group’s vessel, the Akademik Shokalskiy, was caught by the ice, as were the vessels of two rescue parties sent to free the researchers. 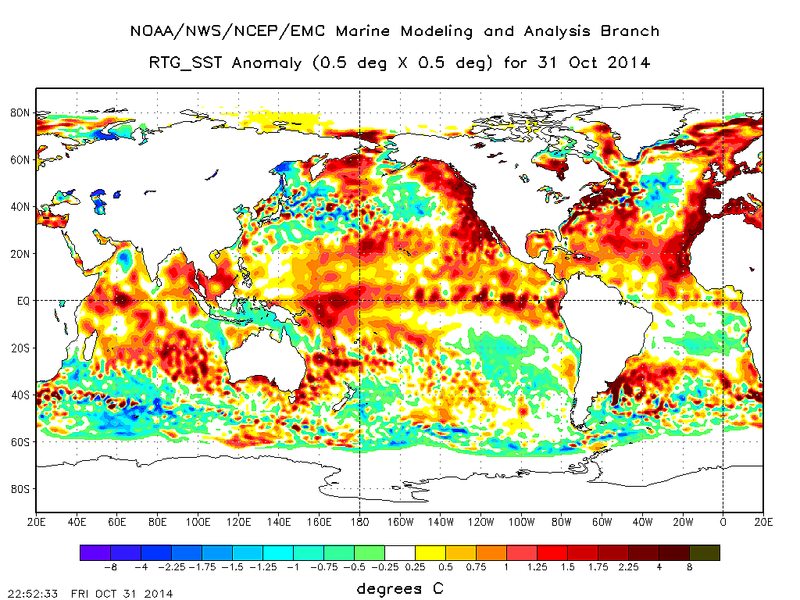 The Antarctic sea ice has set a slew of records during 2014. In June and July, records were set for greatest ever deviation from normal – what scientists refer to as an anomaly. The year began with the sea ice setting a record for the calendar date, and it has set more than 100 such daily records since then. Generally speaking, climatologists have downplayed the significance of Southern Hemisphere sea increasing during the past four decades, arguing that it may in fact result from manmade global warming via a number of possible mechanisms that have been posited, and that, whatever is causing it, the increase in ice is no counter-proof of global warming. There is no disputing that the overwhelming number of global circulation models, the computer models climatologists rely upon to give the public information about the most likely future of the ocean-atmosphere system, originally predicted diminished Antarctic sea ice. The incorrect predictions include NASA’s own computer model, as overseen by now-retired James Hansen, at the time the head of NASA’s Goddard Institute for Space Studies, one of the premier climate research groups around the globe. 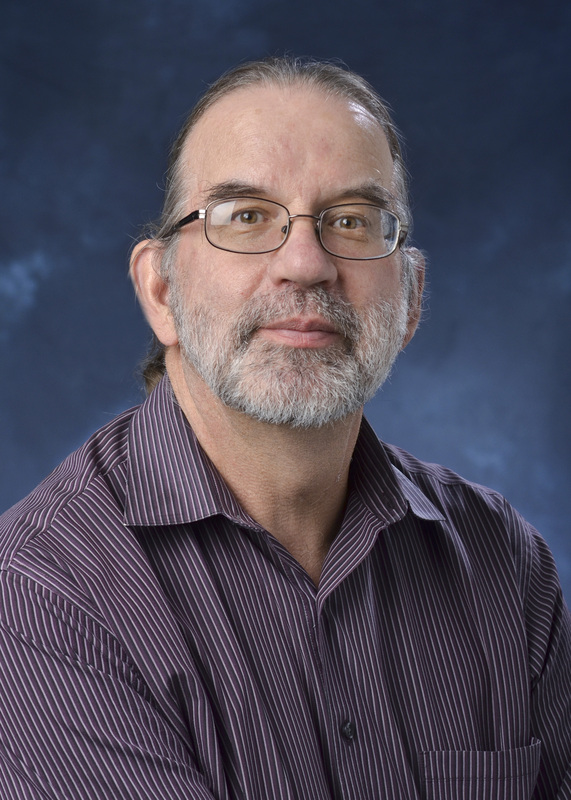 Hansen’s successor at the helm of Goddard, mathematician Gavin Schmidt, did not respond to requests for comment. Talking About the Weather also reached out to NASA’s Walt Meier, who has been on the record previously, indicating that Southern Hemisphere sea ice is less important to climate than Northern Hemisphere ice, that it shows significant regional variation around the Antarctic continent, and that examining the metric known as global sea ice, an anomaly figure derived by adding the anomalies of the Northern Hemisphere and the Southern Hemisphere, is an act without scientific merit. If and when Meier responds to today’s all-time record for Southern Hemisphere sea ice, I will add his comment. 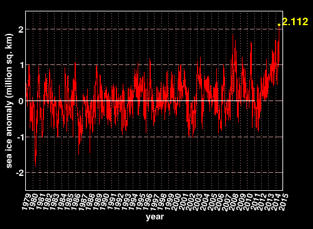 Antarctica’s sea ice is almost surely not done making headlines, if not history, in 2014. 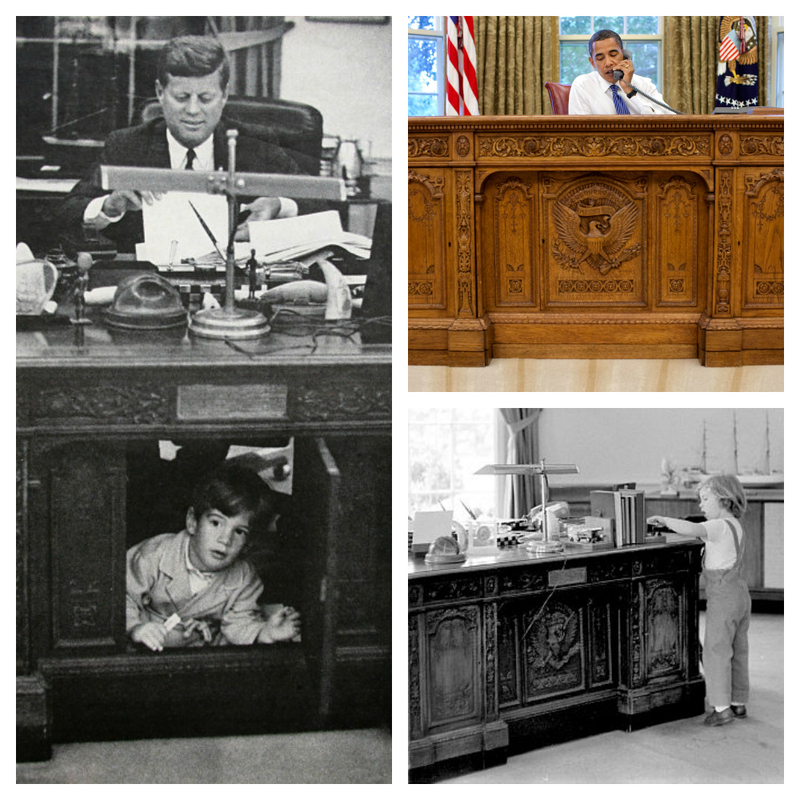 Clockwise from left: JFK Jr. plays while his father works; Obama makes a call; Caroline Kennedy plays on the Resolute desk. With today’s announcement that one of the two ships used by Sir John Franklin in his ill-fated quest to navigate the Northwest Passage in 1845 has been located, more people may come to learn of a fascinating side story. That story has to do with the fact that the primary desk used by the President of the United States comes from ship timbers in one of the vessels sent by the British to search for Franklin and his crew. Not all of the Franklin-rescuing trips ended in tragedy. The best-known of the many individual ships, British and American, to seek the fate of, or potentially rescue, the Franklin expedition was the Resolute, captained by Henry Kellett. Part of a four-ship flotilla led by Edward Belcher, Kellett’s ship became frozen in sea ice deep in the Canadian Archipelago in the fall of 1852, remaining trapped for two winters. When the ice showed no sign of releasing his ship, Kellett led his men on sleds to another of the expedition’s ships that was bound fast. Captain Belcher, in the end, decided that all hands should be transferred to the only ship that had managed to find open water. The decision to abandon Resolute led to a court martial in which both captains were acquitted. As it turned out, moving pack ice carried the abandoned ship 1,200 miles, from Dealy Island down into Davis Strait, between Baffin Island and Greenland. It was there that the crew of an American whaler, George Henry, noted it. The Americans were able to free Resolute, re-rig it, and sail it to New London, Connecticut. Although the British waived all rights to the ship, an American merchant, Henry Grinnell, convinced the U.S. government to restore Resolute to immaculate condition and sail it back to England as a friendship gesture. The ship was presented to Queen Victoria at a ceremony held in Cowes harbor on the Island of Wight on December 17, 1856. A couple of decades later, the British government had a desk made from the timbers of the by-then decommissioned Resolute and presented that desk in 1880 to President Rutherford Hayes. It has been the principal desk used by U.S. presidents in the Oval Office ever since. 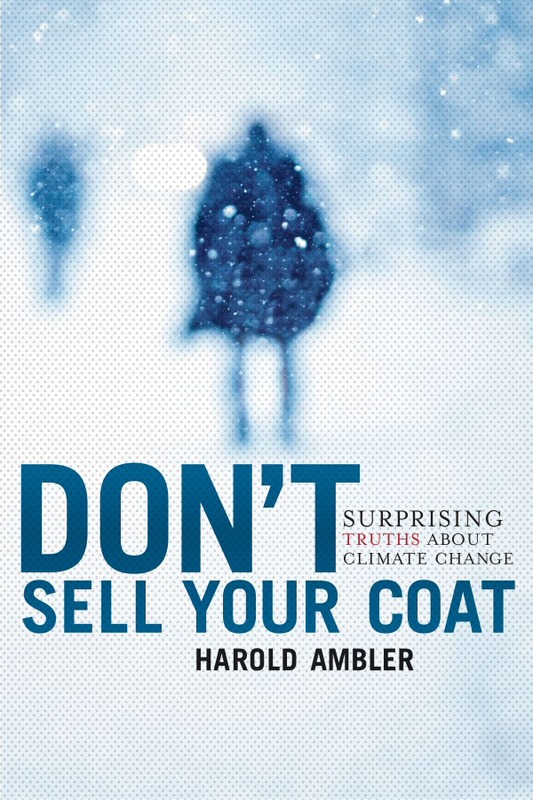 While we like to imagine that the efforts to exploit Arctic waters are somehow “new,” I learned while researching Don’t Sell Your Coat that the Arctic has been navigated, historically, far more than it is fashionable to believe. The Resolute desk is proof of the longstanding western obsession with the Arctic and a literal relic of a fascinating piece of history between the United States and Britain. A graph of the latest all-time record of Southern Hemisphere sea ice area, expressed as an anomaly, courtesy of The Cryosphere Today. Antarctic sea ice has hit its second all-time record maximum this week. The new record is 2.112 million square kilometers above normal. Until the weekend just past, the previous record had been 1.840 million square kilometers above normal, a mark hit on December 20, 2007, as I reported here, and also covered in my book. Gavin Schmidt, director of Goddard Institute for Space Studies, also did not respond to multiple requests for comment. Antarctic sea ice has set a new all-time record maximum over the weekend of June 28-29, 2014. It was not immediately apparent whether the record had occurred on Friday or Saturday. Requests for comment to Bill Chapman, who runs The Cryosphere Today, were not immediately returned.